Local factors associated with on-host flea distributions on prairie dog colonies. 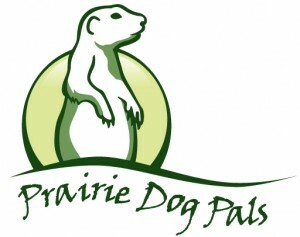 Outbreaks of plague, a flea-vectored bacterial disease, occur periodically in prairie dog populations in the western United States. In order to understand the conditions that are conducive to plague outbreaks and potentially predict spatial and temporal variations in risk, it is important to understand the factors associated with flea abundance and distribution that may lead to plague outbreaks. We collected and identified 20,041 fleas from 6,542 individual prairie dogs of four different species over a 4-year period along a latitudinal gradient from Texas to Montana. We assessed local climate and other factors associated with flea prevalence and abundance, as well as the incidence of plague outbreaks. Oropsylla hirsuta, a prairie dog specialist flea, and Pulex simulans, a generalist flea species, were the most common fleas found on our pairs. High elevation pairs in Wyoming and Utah had distinct flea communities compared with the rest of the study pairs. The incidence of prairie dogs with Yersinia pestis detections in fleas was low (n = 64 prairie dogs with positive fleas out of 5,024 samples from 4,218 individual prairie dogs). The results of our regression models indicate that many factors are associated with the presence of fleas. In general, flea abundance (number of fleas on hosts) is higher during plague outbreaks, lower when prairie dogs are more abundant, and reaches peak levels when climate and weather variables are at intermediate levels. Changing climate conditions will likely affect aspects of both flea and host communities, including population densities and species composition, which may lead to changes in plague dynamics. Our results support the hypothesis that local conditions, including host, vector, and environmental factors, influence the likelihood of plague outbreaks, and that predicting changes to plague dynamics under climate change scenarios will have to consider both host and vector responses to local factors.